Perth on the Western coast of Australia. With no idea what to expect and time being limited, we had booked ourselves onto a coach tour of the city and surrounding area. A furious ringing from the bedside table disturbed our sound sleep. 7.15 a.m. local time: reception saying a coach driver and coach load of people were waiting. ‘No, no,’ I said in dreamlike state, ‘that’s tomorrow, Wednesday,’ replacing the phone. Our brief return to the land of nod again was disturbed by shrill ringing. Forty-five minutes later we were climbing into a taxi outside the hotel. The driver was as good as his word, delivering us to the cafeteria in Kings Park within twenty minutes. 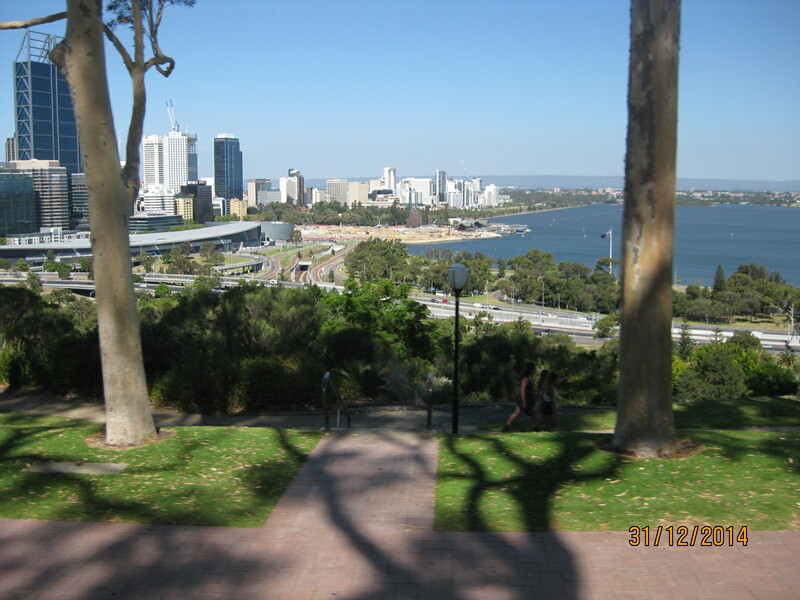 Here we breakfasted on coffee and pastries, strolling to admire the views of Perth below, before uniting with the early-bird coach driver and his passengers. An interesting history, including ancient trees and shrubs found only in the southern hemisphere, made us resolve to return another day and explore at our own more leisurely walking pace. 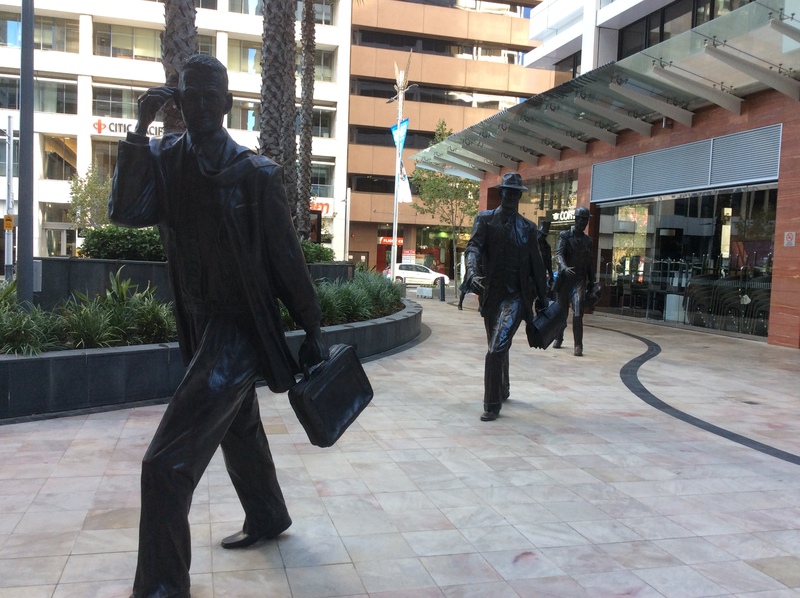 Between the Carey world-wide chauffeur service – whose welcoming driver had met us at the airport – the taxi and coach drivers, we learnt Perth’s history. The coach stopped at St Martins Centre. 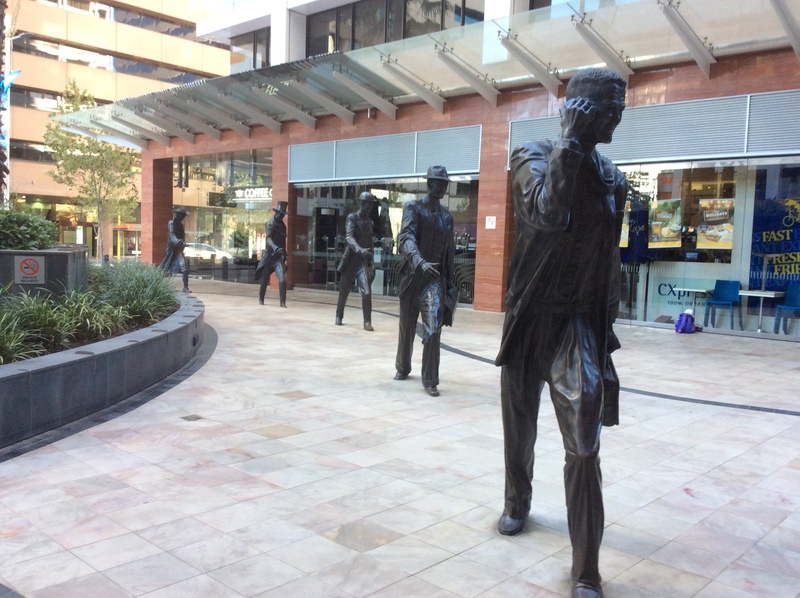 Located on the site of the first businessmen’s club of WA it was the inspiration for an unusual sculpture group. 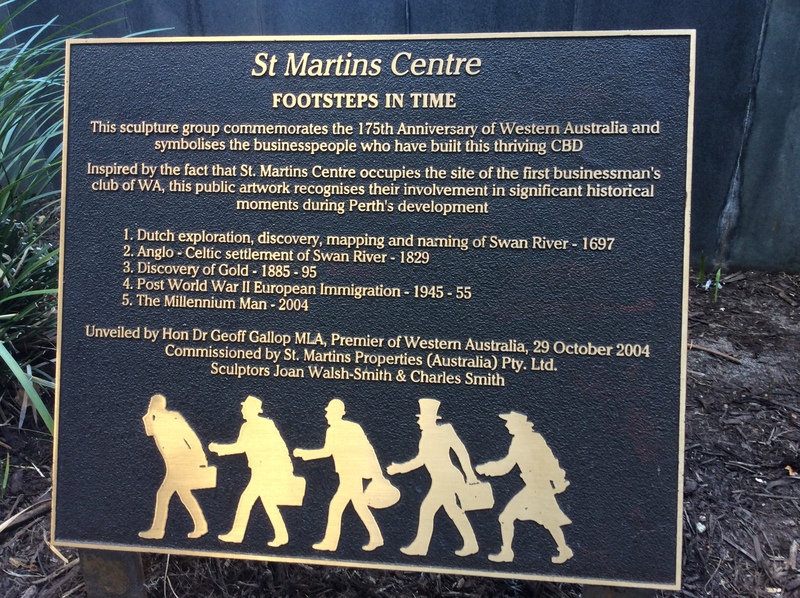 FOOTSTEPS IN TIME commemorates the 175th anniversary of Western Australia and recognises the involvement of businessmen in significant historical moments during Perth’s development. 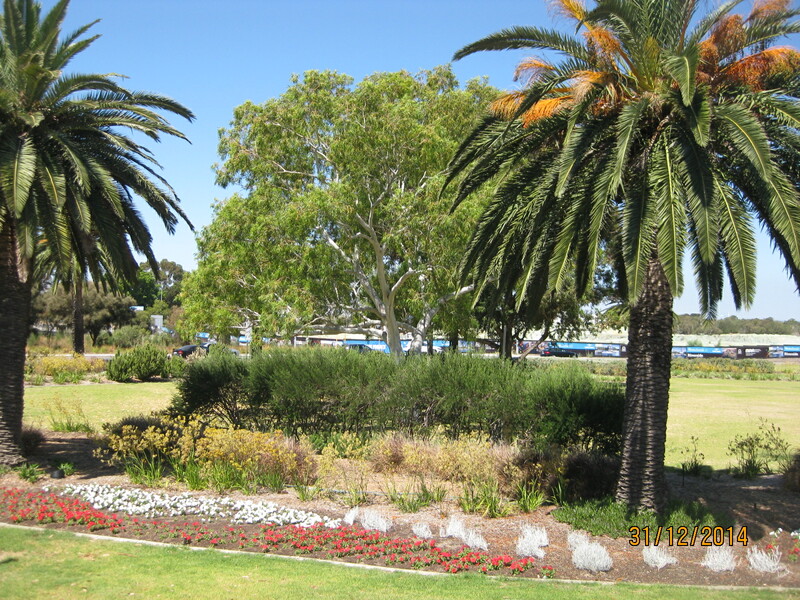 The coach arrived in Fremantle with time to appreciate some of its large collection of heritage listed buildings, before boarding a boat for our ride up the Swan River. The indigenous hunters and gatherers of South West Australia were aborigines of the Noongar tribe, who called the Swan River area, Boorloo. A few years after the arrival of the first settlers in 1829, hostilities – including executions and massacres of the Noongar people – caused them to retreat from the area, moving to the swamps and lakes north of the river. As we cruised up-river, I imagined the first Dutch explorers travelling along the river estuary in 1697 and their disappointment at finding the soil infertile limestone and sand, interspersed with large flat swamp-lands. Black swans gave rise to the name ‘Swan River.’ Later explorations by the French and British in 1801 and 1822, found little change: the land was infertile and unsuitable for settlement. In 1827 Captain James Stirling was searching for a settlement in Western Australia, to aid relatives in the British East India Company who were seeking to establish Indian Ocean trade. In a positive frame of mind, Captain Stirling did not travel far enough upriver to see the mainly sandy soil around the estuary, reporting that the area would provide good quality agricultural land. Lobbying for a free settlement, unlike the other penal settlements, the British Government was persuaded that such a colony would incur negligible cost, and permission was granted in 1828. Today’s fertile green riverbanks and smart residences along the river estuary are vastly different to the raw emptiness that greeted the first fleet of settlers. Having disembarked with their possessions in June 1829, they found that no land had been allocated or buildings constructed. 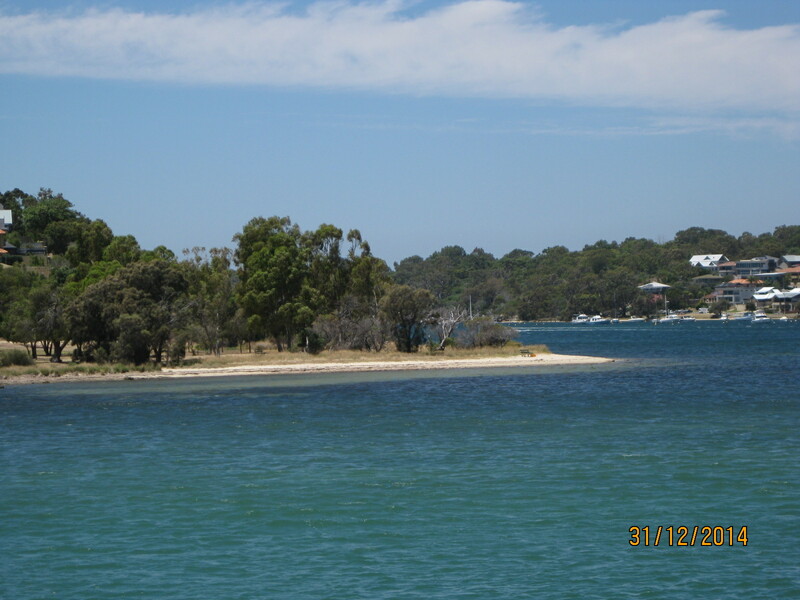 Captain Stirling’s Surveyor-General, Septimus Roe, demarcated the fertile locations close to the Swan and Canning Rivers and upstream, where the district of Guildford had the best quality soil and was settled in the first year of the colony. The town sites of Perth, Fremantle and Guildford were laid out by Septimus Roe. 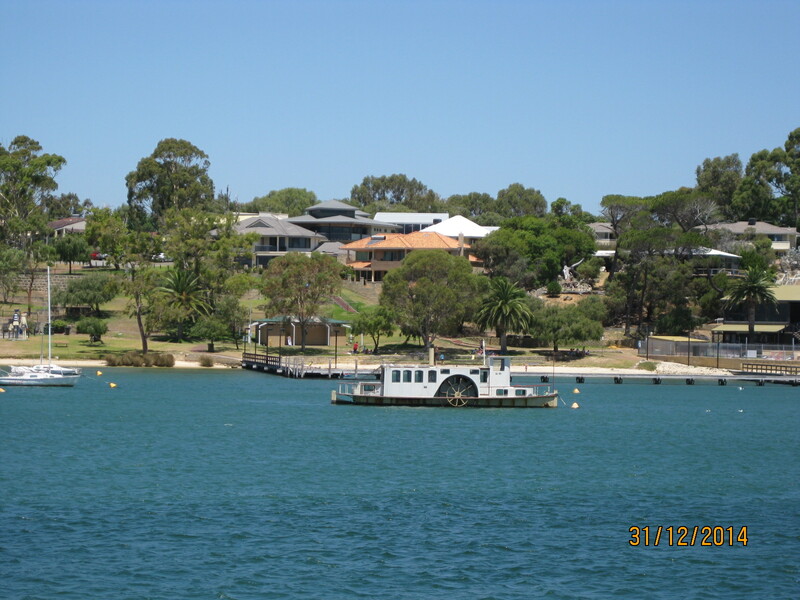 Perth’s site with access to fresh water, river transport and building materials, was to be the administrative and military hub. 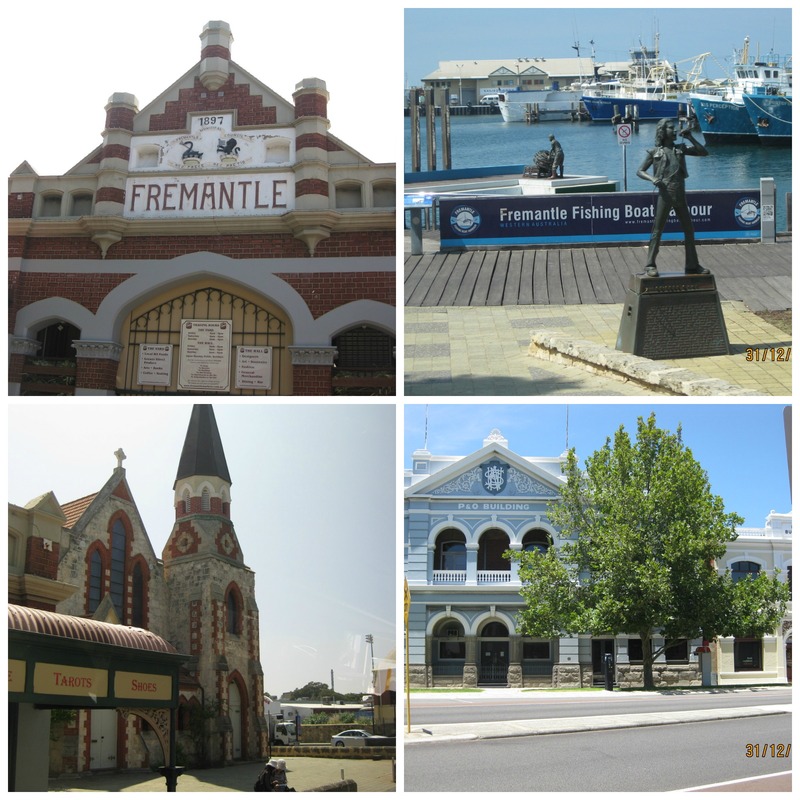 Fremantle was the port city, with Guildford the loading point for agricultural produce. 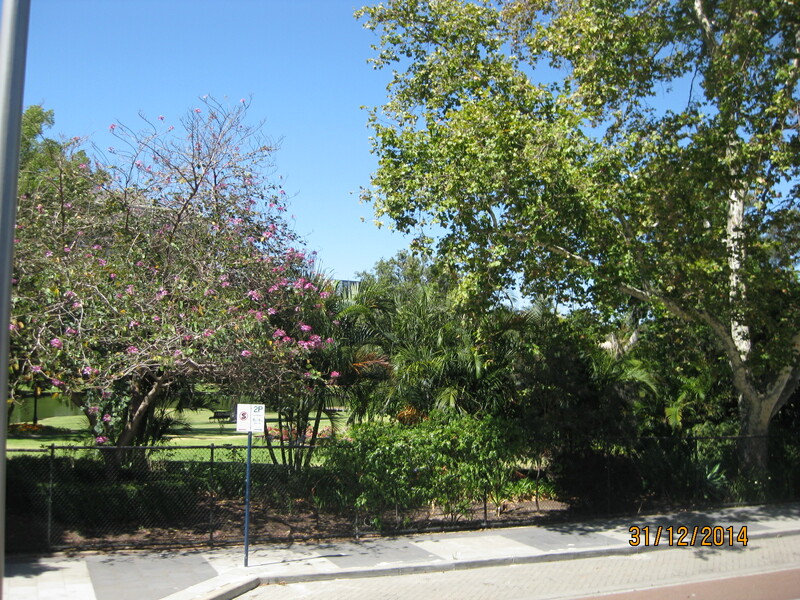 Poor soil around Perth inhibited agricultural development, its slow expansion contributing to Perth becoming a penal colony in 1849. Over the next sixteen years the large convict workforce – comprising over 9,000 convicts – brought expansion in the form of infrastructure and colonial inspired buildings. 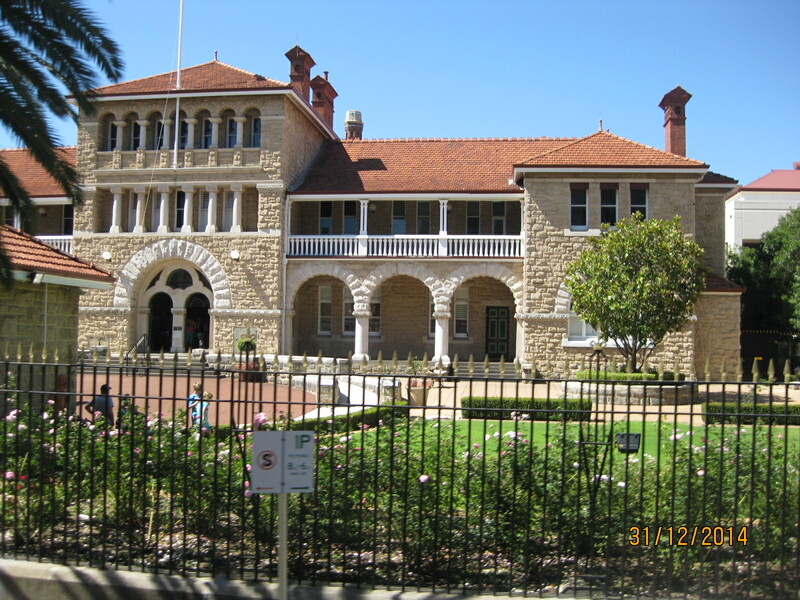 Despite being proclaimed a City by Queen Victoria in 1856, Perth remained a garden city with scattered residences. 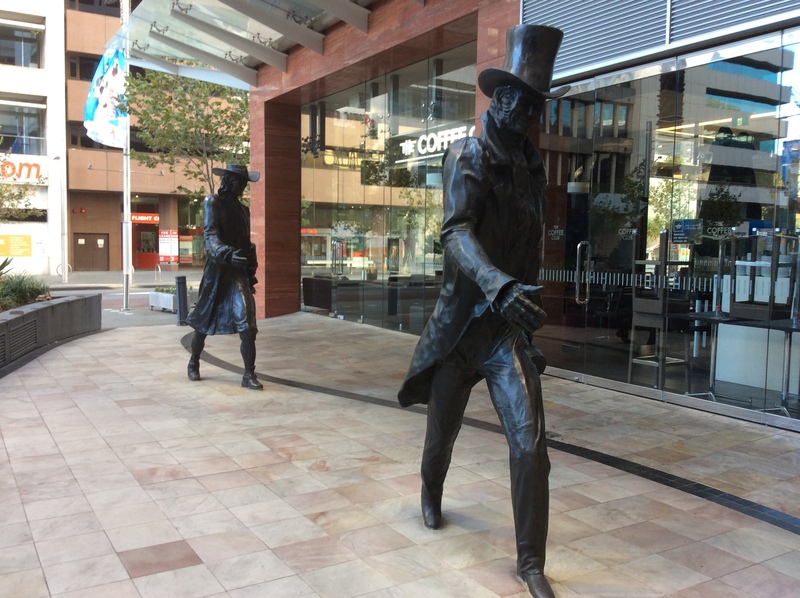 In the last quarter of the 19th century, a telegraph line from Adelaide to Perth improved intercontinental communication and was followed eight years later by the first weekly newspaper, the Western Mail. 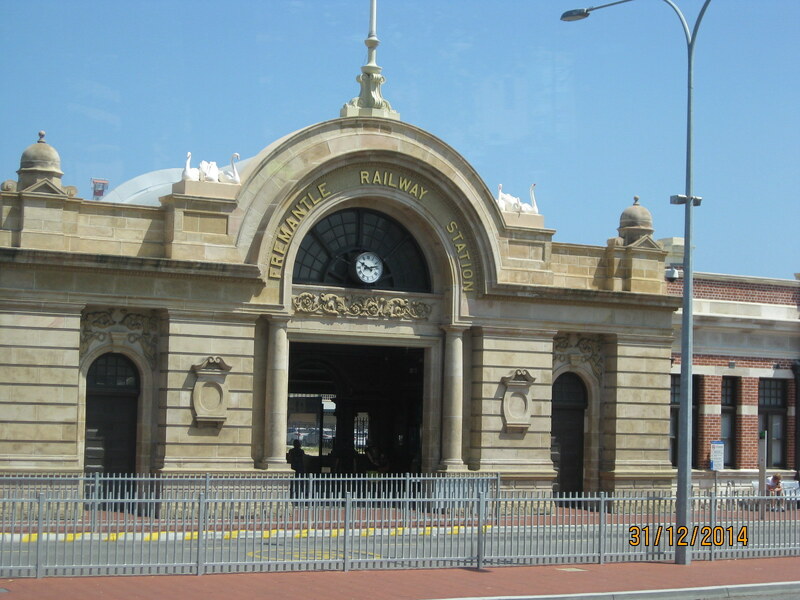 Impressive government offices were built and the railway line from Fremantle to Guildford was completed. 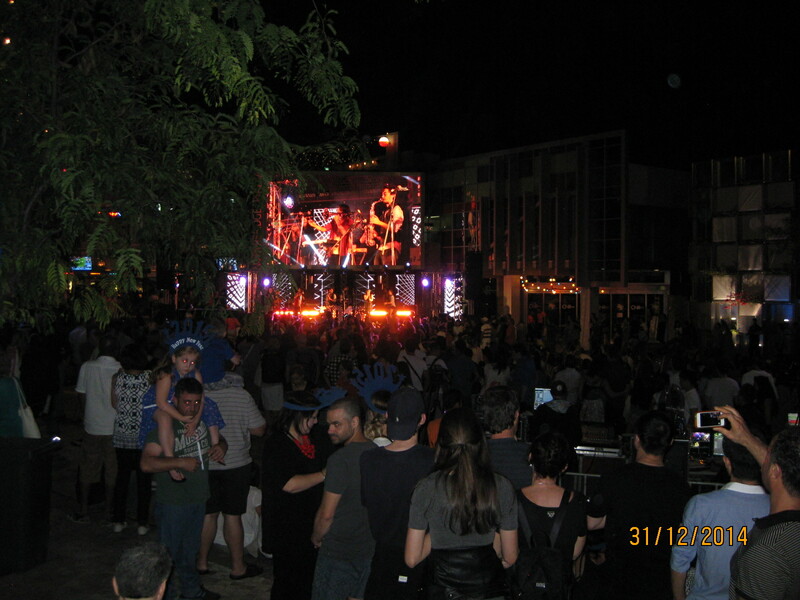 The location of the central Perth railway station, with railway lines acting as boundaries, created a vibrant central walking area. Today this pedestrianized area is being enlarged and improved by the construction of underground tunnels to run trains beneath the city. Residents and tourists will be able to reach all parts of the city on foot, without the hindrance of finding designated crossings or bridges to traverse the railway lines. 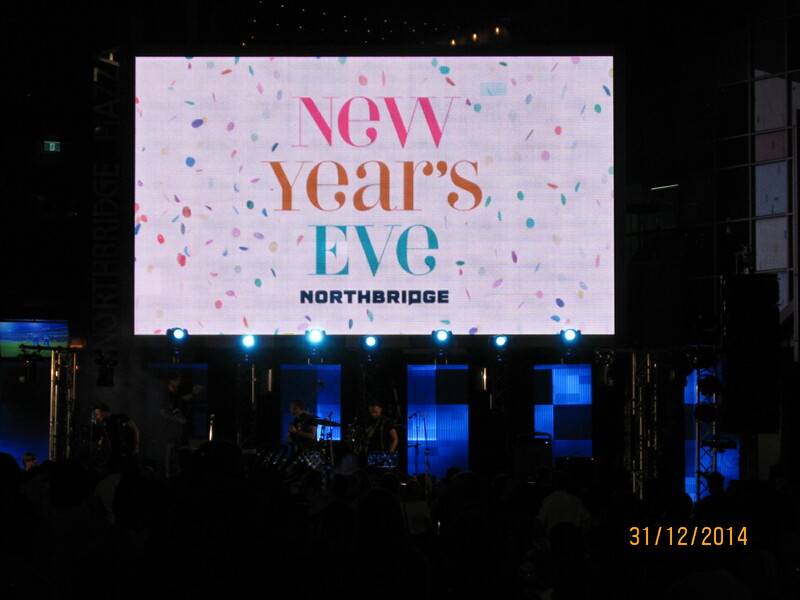 It was a fifteen minute detour from the Four Points Sheraton hotel, to reach a part of town containing excellent restaurants and promising New Year celebrations, so we thoroughly appreciate the improvement these changes will bring once completed. 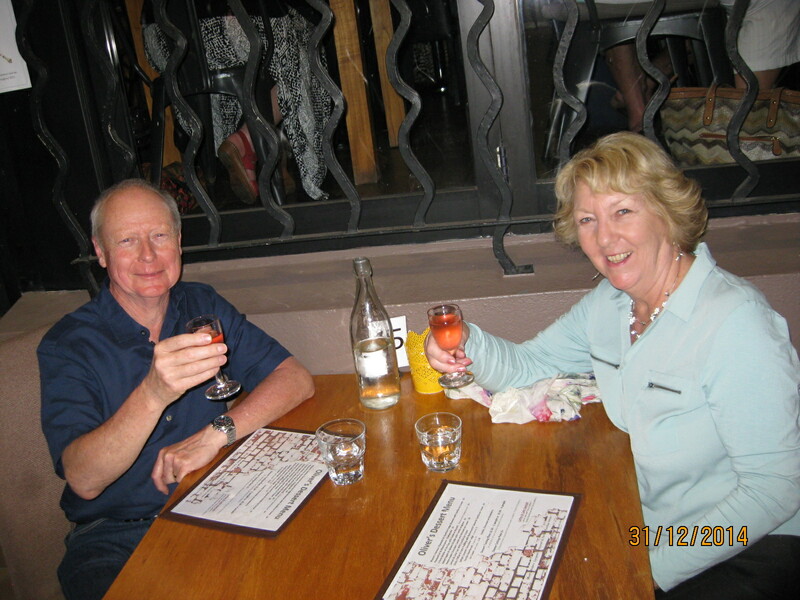 Before joining in the musical celebrations to sing in the New Year, we found an outside table where we ‘whispered sweet nothings’ over an excellent dinner for two. Thinking of the cold wind, and often rain, that heralds in our English New Year, we appreciated the deep warmth we were enjoying here in Perth. We can luxuriate in a lie-in tomorrow, I’m sure nothing is booked (!) so we won’t have reception ringing our bell with a loud wake up call. Our plan is to return to Kings Park for a leisurely day, before catching a boat to the unique Rottnest Island, the day after. 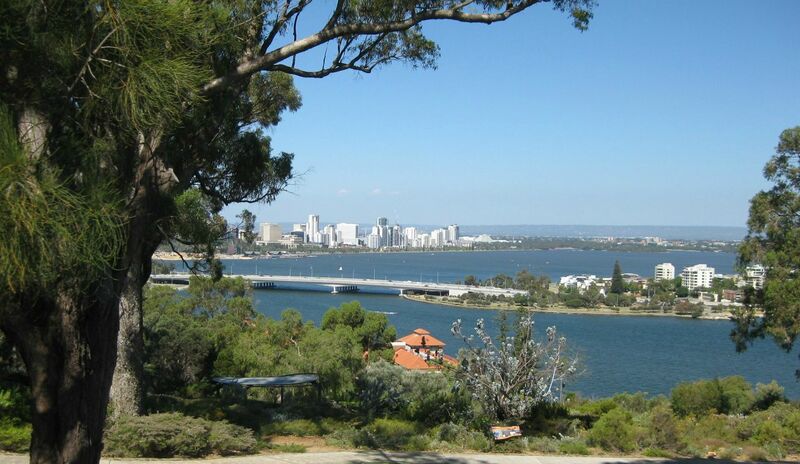 I hope you’ll join me for Part 2 of tales about Perth.